One of the hallmarks of the Annual NAC Concession and Hospitality Expo has been the very popular Venue Tours. This year’s Expo is slated for July 11-14, 2017 at the Fairmont Scottsdale Princess in Scottsdale, Arizona and the line-up for visiting, touring and enjoying some of the top attractions in the Valley of the Sun is as strong as ever. The Friday events and bus schedule include a 2:15 airport drop-off so you can partake in the tours and still make your flights. Here is a breakdown of the events. CLICK HERE TO FIND OUT MORE AND REGISTER TO ATTEND THE NAC CONCESSION AND HOSPITALTY EXPO. With great food & drinks, upscale amenities and competitive fun everyone can enjoy, Topgolf Scottsdale at Riverwalk is your venue for parties, company events, fundraisers and social get-togethers! 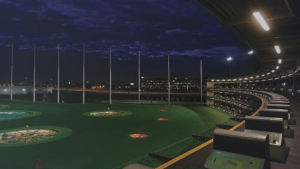 Topgolf is a 3- level Golf Entertainment Facility with over 65,000s q. ft. and up to 102 hitting bays. Players hit micro-chipped golf balls that track each shot’s accuracy and distance while awarding points for hitting targets on the outfield. Anyone can play Topgolf, from aspiring golf pros to those who have never walked 18 holes. It’s competitive. It’s fun. And it’s a unique way to entertain corporate clients and colleagues in a decidedly non-corporate environment. 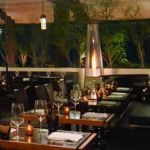 Experience La Hacienda by Richard Sandoval as you uncover Scottsdale’s top rated Mexican restaurant experience at the Fairmont Scottsdale Princess, offering a paradise of fresh, modern Mexican cuisine complemented by an unmatched tequila bar. Dine amid warm, Spanish architecture with flagstone, wood-beamed ceilings and beehive fireplaces; enjoy light table fare in the entry patio with four fire pits under the Arizona stars. Enjoy an evening of great food, drink and NAC friends; and a Mariachi Band to complete the closing night festivities. Camelview at Fashion Square features unparalleled luxury amenities and an expanded offering of independent, foreign and art films along with a choice selection of the very best wide release films. 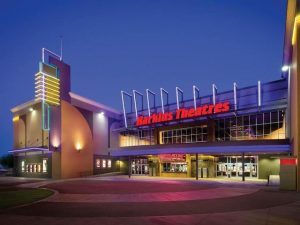 Camelview is the crown jewel of Harkins Theatres and features innovative, luxury amenities such as: Harkins’ Ultimate Lounger™ – Harkins’ exclusive plush, leather recliner seats in all auditoriums.Reserved seating in all auditoriums. The Vérité Lounge™ – a unique amenity with indoor/outdoor rooftop terrace where moviegoers can enjoy cocktails, wine and beer including local craft favorites. Harkins’ Lobby Café featuring espresso drinks, enticing desserts and savory small plates. Architecturally minimalist modern movie palace décor. Fourteen curved, wall-to-wall screens. State-of-the-art all digital projection and sound. Gourmet concession stand with an expanded menu including Harkins’ award-winning popcorn, and a variety of hot food items. 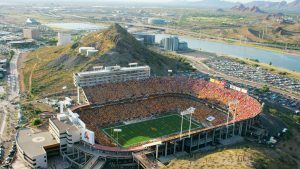 The reinvented Sun Devil Stadium preserves the history and iconic views while bringing fans an upgraded fan experience including wider walkways, a variety of seating options, improved concessions and restrooms and better ADA accessibility. Since 1958, the landmark home of Sun Devil Football has been synonymous with “big time”: countless conference battles, rivalry-rich Territorial Bowls, pro football contests including a Super Bowl. It welcomed grand community events, concerts, feature film productions, a visit by a pope and a U.S. president’s address. Now, after nearly 60 years, this 20th-century icon is being transported into the 21st … and beyond. Chase Field opened in the Spring of 1998, built as a multipurpose facility to house Arizona’s first Major League Baseball team, the Arizona Diamondbacks, and to host large-scale events. The Ballpark covers approximately 1,300,000 square feet, including the playing surface, and is divided into six levels: Field, Main Concourse, Press Level, Suite Club Level, Upper Concourse and Mechanical Level. 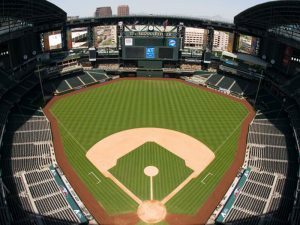 Chase Field can be configured to accommodate various sports including football, soccer and basketball, in addition to its baseball configuration. 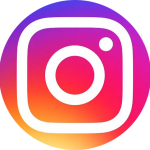 Other setups that have enjoyed success in the building are concerts, motor sports, trade shows, exhibits, band pageants, religious gatherings and running/walking events. The National Association of Concessionaires will bring together the top food and beverage concession leaders in the recreation and leisure-time industry at The Concession & Hospitality Expo. The Expo committee is planning terrific educational sessions, great social functions and exciting events. Formerly known as the NAC Annual Convention & Trade Show, the event is an educational conference in its 35th year covering a wide range of concessions and foodservice topics. The business sessions are practical and focused on the concessions industry, and provide interaction between all types of operations. In addition, exciting social functions allow for attendees to network in a less formal setting. Your full convention registration fee includes all educational sessions, food functions, social events, venue tours and the trade show.